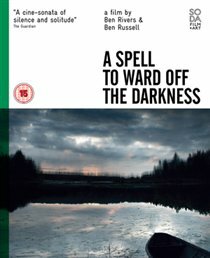 A Spell to Ward Off the Darkness, the first feature-length collaboration between artist filmmakers Ben Rivers (Two Years at Sea) and Ben Russell (Let Each One Go Where He May) follows an unnamed character through three seemingly disparate moments in his life. With little explanation, we join him in the midst of a 15-person collective on a small Estonian island; in isolation in the majestic wilderness of Northern Finland; and during a concert as the singer and guitarist of a black metal band in Norway. Marked by loneliness, ecstatic beauty and an optimism of the darkest sort, A Spell to Ward Off the Darkness is a radical proposition for the existence of utopia in the present.